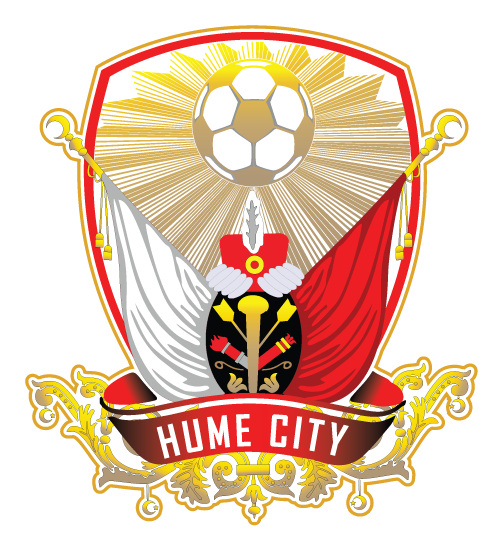 The past three weeks has seen Hume City’s Under 12 outfit continue its success. A comfortable 9-0 win against Whittlesea Ranges was pleasing in the sense that most chances were taken, with Deha Kurul netting a hatrick and Nathan Talevski scoring a couple of great strikes. Eren Onur also played a solid game in defence along with Ahmed Abbas. This game was followed by a drive up the highway to North Geelong in a game expected to be a tough encounter. And tough it was with, a spirited North side taking it up to our boys for most of the game until we finally broke the stalemate and sealed the game late. Tino Casa set up an important goal with Deha Kurul and Jake Nadjovski scoring a brace each to complete a 4-0 win. Zain Balla was exciting on the right wing and Kaan Elibol gave us scores of energy on the left. The back four of Lucas Trenkovski, Bayram Yetismis, Jae Ciarma and Darius Mihaljevic were holding off attacks brilliantly. Eren Arslan had a great game and followed it up with another fantastic performance in the Under 13 game. Finally in a tense struggle Hume hung on for a 1-0 win against Moreland Zebras. Some missed chances looked like they could cost the Reds dearly as we had to work twice as hard against the wind to finally break the deadlock; a well worked move where Jake was brought down in the box and then converted the penalty. Max Krysinski started to influence proceedings and Aydin Cekic was staunch in defence. Kayra Ulku, Emre Saglam, Nathan Talevski and Ethan Alcantara provide composure in defensive midfield areas at crucial times to help us hang on for an important 3 points. All in all a good three weeks worth but the squad is under no illusions that we have many good clubs and great young players to meet in the coming weeks. We respect all our opponents and whilst winning is nice I remind everyone involved with the Under 12’s to enjoy the journey and don’t worry too much about the destination – winning is not everything and when the boys do have their hiccups it only serves to breed resilience and character needed in other areas of life. These are times to relish, watching our kids play with a smile on their face and for the joy of the game. Let’s enjoy the ride with them.